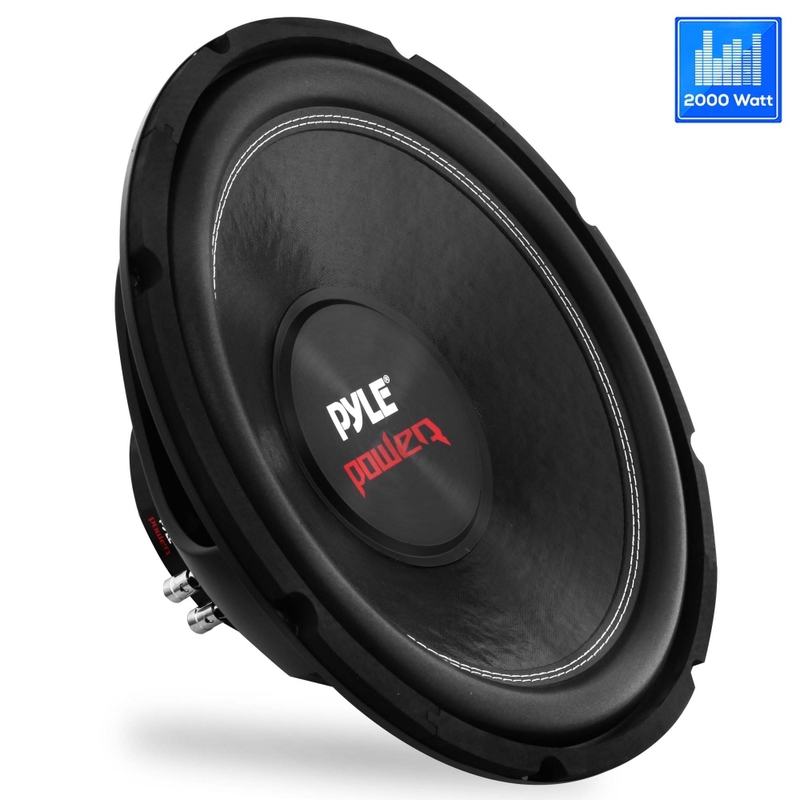 Pyle Power Subwoofers pack a huge punch The PLPW15D is a 15-Inch booming 2000 watt subwoofer designed with the bass lover in mind. This subwoofer will make your music growl in your vehicle or at home, in any type of enclosure: sealed, vented, or open-air. The black steel basket and non-press paper cone look sleek - and thanks to a 95 oz. magnet, 2.5-Inch four-layer dual voice coil, and specially treated foam surround, it sounds great too. Connect to your amplifier using the spring loaded, push-down speaker terminals and feel the Pyle Power. Review : Well made woofer and DVC adds flexibility. A great value woofer! Review : This is a very versatile speaker for under 75 bucks! I use it in my bass (guitar) cabinet. Review : Finaly PYLE gave the thiele-small parameter. Nice sub sound real good. Not desapointed about mi purchase.